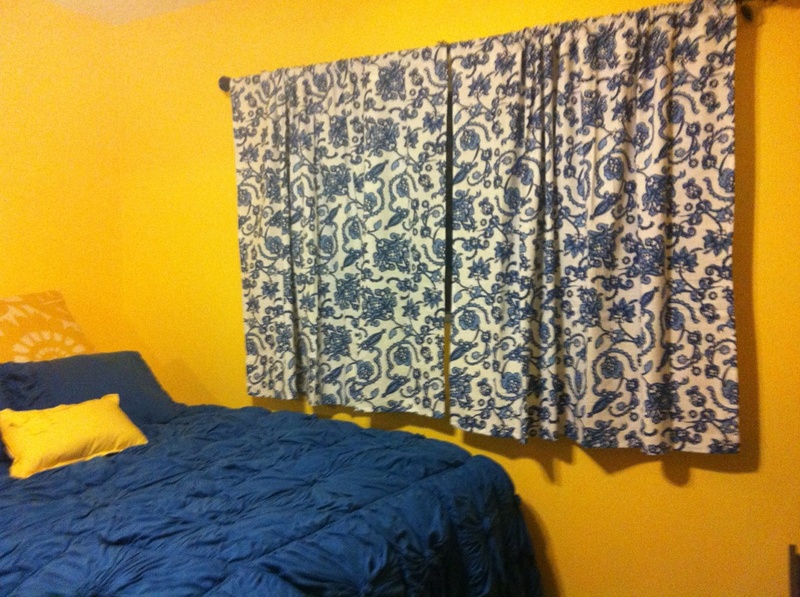 I helped my daughter, Lindsay, with making curtains for her bedroom. 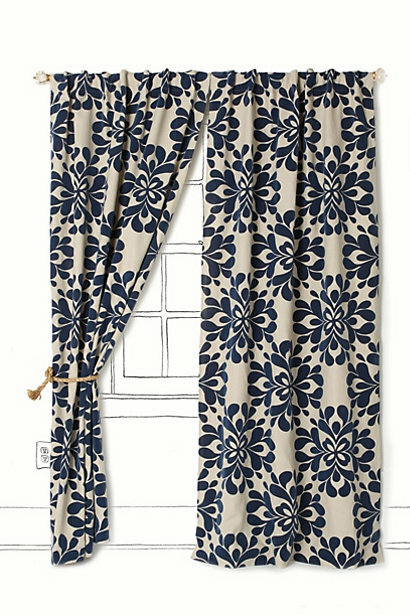 She wanted the curtains from Anthropology seen below. The price was $216.00. I suggested using a tablecloth I saw at Target on clearance for $12.90 in a similar fabric and I could sew up the one seam. She liked the fabric and thought it would work out nicely. My mom (Lindsay’s grandma) actually did the sewing. She was very happy and enjoyed the savings.